Yes. Quite a few people have changed the lens or adjusted the focus. To do this you need to carefully remove the small blobs of glue that hold the lens in place, then the lens should turn. I think I may be the only person to have destroyed my lens with pliers (but, I wiped out two of them). Using the right tool it's quite easy, and I think safe. You don't need to remove the glue at all. Just a slight twist of the tool, and the glue gives way with a little snap sound. From there it is relatively easy to adjust with fingernails. jbeale wrote: I think I may be the only person to have destroyed my lens with pliers (but, I wiped out two of them). Using the right tool it's quite easy, and I think safe. You don't need to remove the glue at all. Just a slight twist of the tool, and the glue gives way with a little snap sound. From there it is relatively easy to adjust with fingernails. That looks interesting, though I'm looking to remove the lens (not adjust the focus). However, the holder still looks sort of useful -- will print it and try tomorrow. Do you happened to have a picture of the decapped Sony IMX219 (sensor without lens)? If yes, could you share it with me (would be great to see which edge has no electronics so it's safe to cut from that edge). Why do you want to cut it? Why not just unscrew the lens? You can fit a 12mm adaptor using the mounting holes. Thanks for the link. Do you happened to have seen a picture of the decapped Sony IMX219 (sensor without lens)? If yes, could you share it with me? (would be great to see which edge has no electronics so it's safer to cut from that edge). gordon77 wrote: Why do you want to cut it? Why not just unscrew the lens? You can fit a 12mm adaptor using the mounting holes. Some more images, looking at different angles into the lens holder with the lens removed. One thing I don't understand is *why* they bother gluing the lens at all. Can somebody petition Raspberry Pi so they stop gluing the lens? Does original housing have M12x0.5 threads In housing or do we need to buy the base mounts and install over the top? I could care less about the factory lense or damage to it I won’t ever use it again but it looks like I happen to have a tool that should work. Still waiting for cameras to arrive however I want to install the M12x0.5 3Mp 2.8-12 varifocal 1/2.5 1:1.4 lense from aliexpress that cost $3.67. Arducam is a bit excessive for theirs preassembled. Note you'll need one with 21mm spacing for the Pi camera, and may need to trim it a bit to avoid on board components. The holes are 21mm apart but I wonder if you drilled (milled) them in or out to 20mm or 22mm would you run in to any traces or electronics and kill the board? 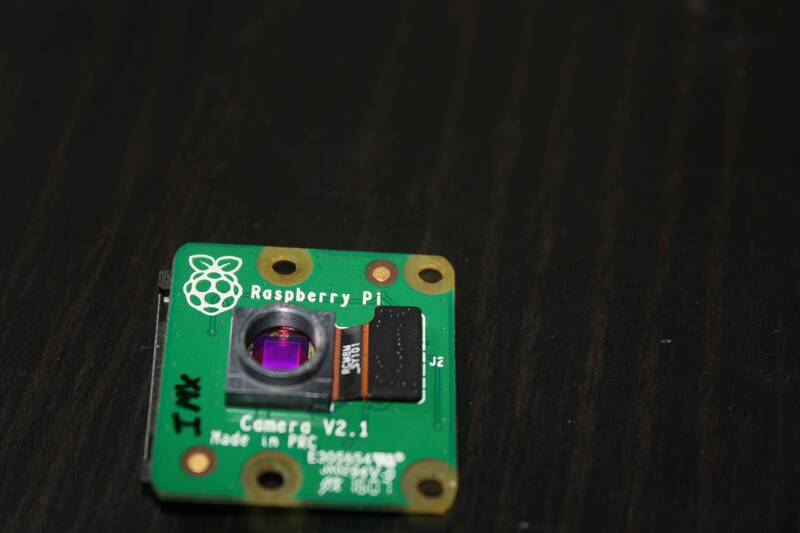 There is a lens holder designed specifically for the raspi camera. It is machined out of aluminum, has the correct hole spacing, and has a cutout for the cable to get out. It is $8.50. I'm using two of them. This is the holder for the V1 raspi. They have one for the V2 also but it has no picture. I'm sure it is as well-made as the V1. The site, m12lenses.com, has a great assortment of lenses and lens holders. I spend too much money there. I have 6 different focal length lenses to play with. I did decap v1 and v2 camera module, and some 8$ v1 NoIR camera modules came with M12 mount and lens already. So if 5MP v1 camera is OK for you, one of these cameras avoids decaping and allows for new lenses easily.